Description: In 2006, when Clara Hughes stepped onto the Olympic podium in Torino, Italy, she became the first and only athlete ever to win multiple medals in both Summer and Winter Games. Four years later, she was proud to carry the Canadian flag at the head of the Canadian team as they participated in the opening ceremony of the Vancouver Olympic Winter Games. But there’s another story behind her celebrated career as an athlete, behind her signature billboard smile. 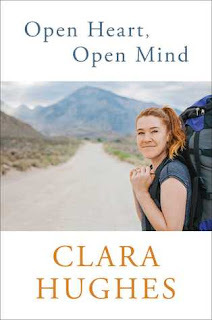 "My Dad used to say to me, "Clara, never put anyone below you, and never put anyone above you. There are good an bad people - you can't deceive yourself into thinking otherwise - but it has nothing to do with race or income." "This lesson in a taxicab on a cold winter's day showed me the potential of human beings to transcend hatred, greed, and genocide. Even now I marvel that someone could come to this kind of peace after losing so much."